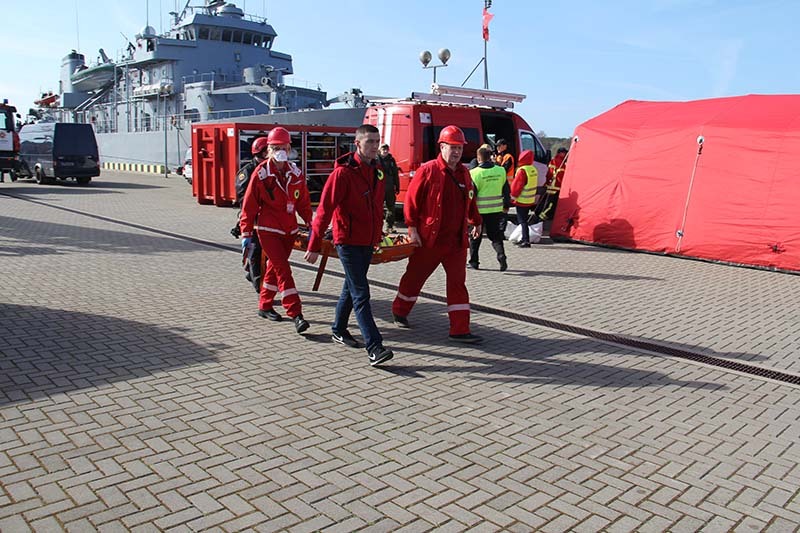 HAZARD project’s 8th large-scale exercise was arranged in the port of Klaipeda 20th of April 2018. 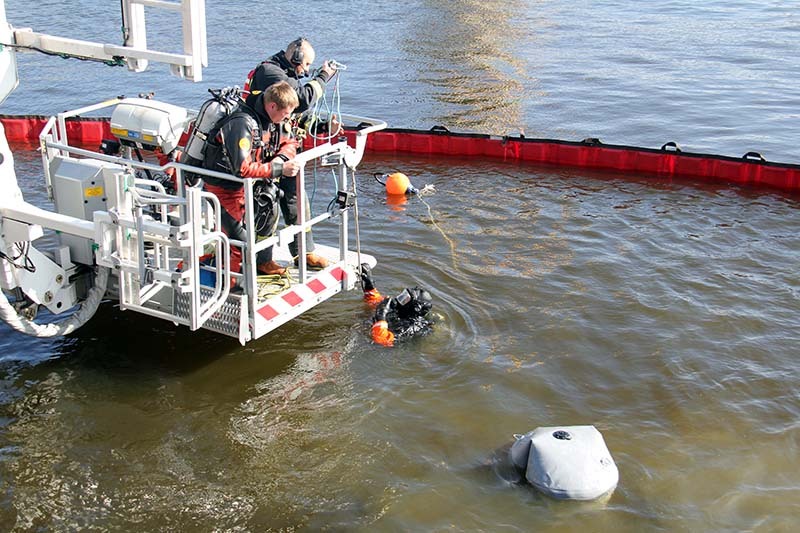 In the scenario a mooring vessel lost control and hit the quay. 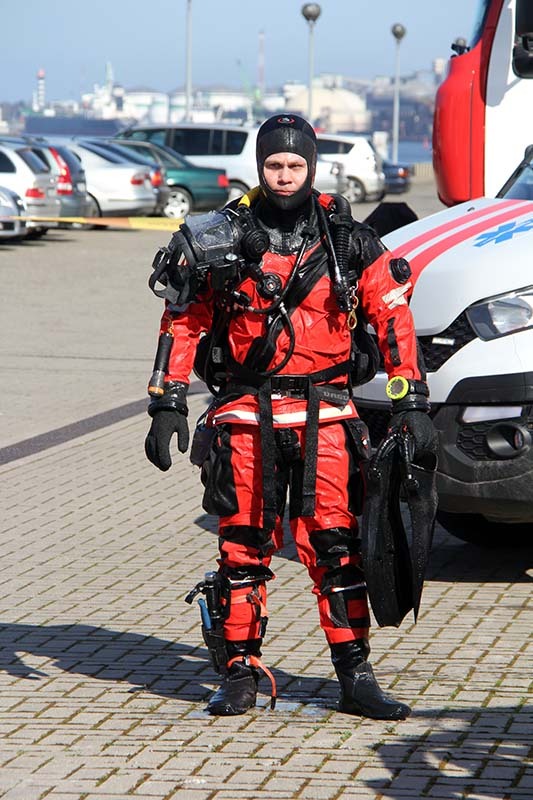 The vessel listed 30 degrees and about 30 scared people jumped into the water. 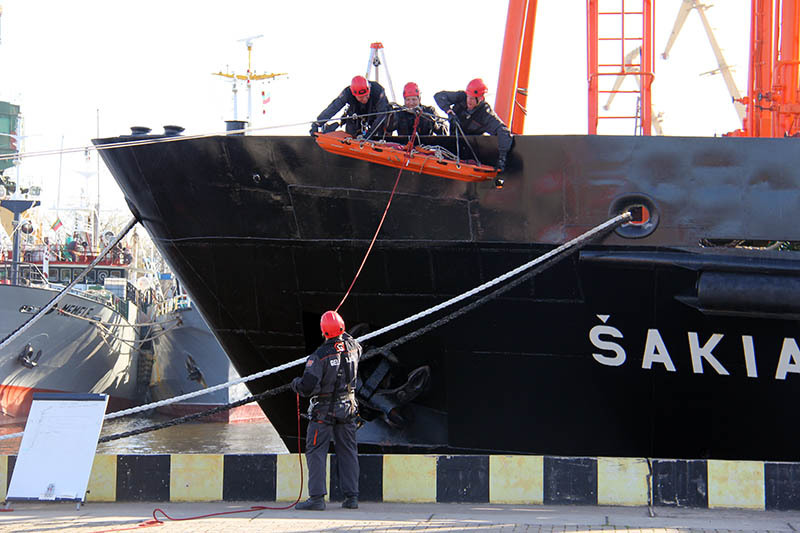 Three crew members were seriously injured and one was missing. One container dropped to the water and there was a possible chemical leak of unknown hazardous chemical. 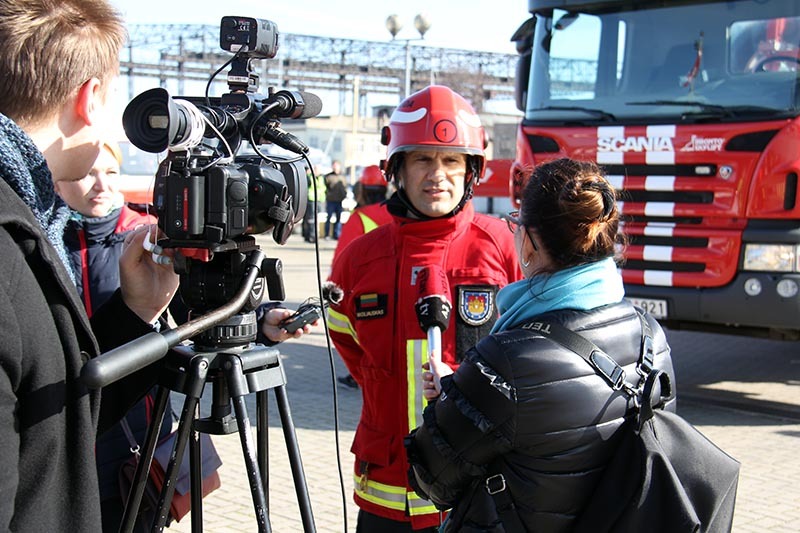 The aim of the exercise was to enhance the preparedness to handle a large-scale accident and to improve the co-operation between different authorities. 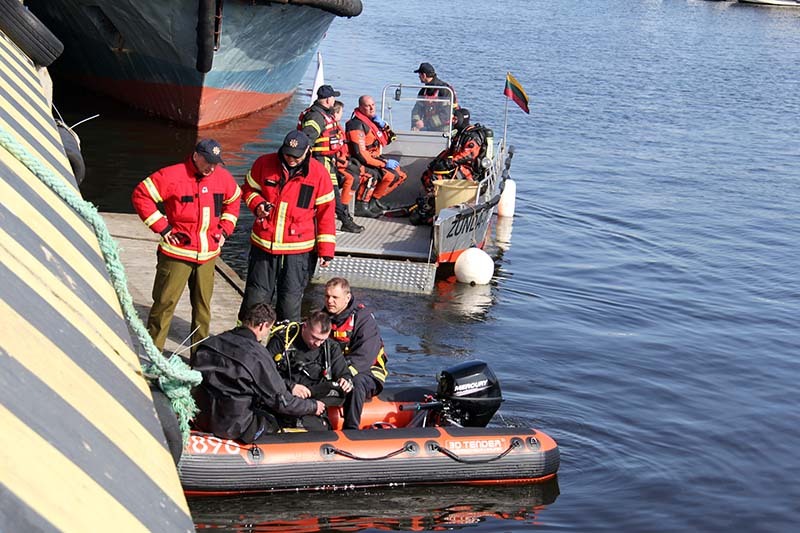 Participating organisations were the Fire and Rescue Service of Klaipeda County, Lithuanian Navy, Klaipeda Seaport Authority, Klaipeda City Municipality, State Fire and Rescue Service of Latvia and Southwest Finland Emergency Services. Evacuation of a patient on a stretcher. 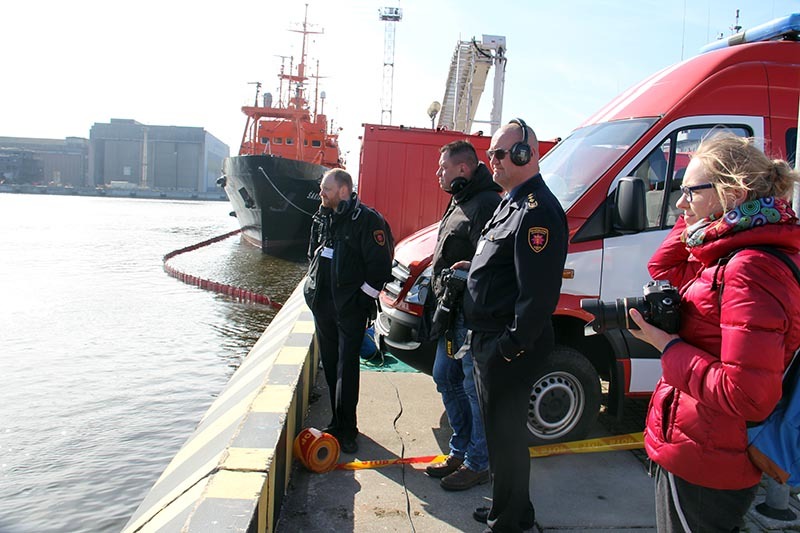 Observers from Turku and Hamburg rescue services. Lithuanian TV interviewing Vaidas Masiliauskas.